Statistics aren’t always boring. 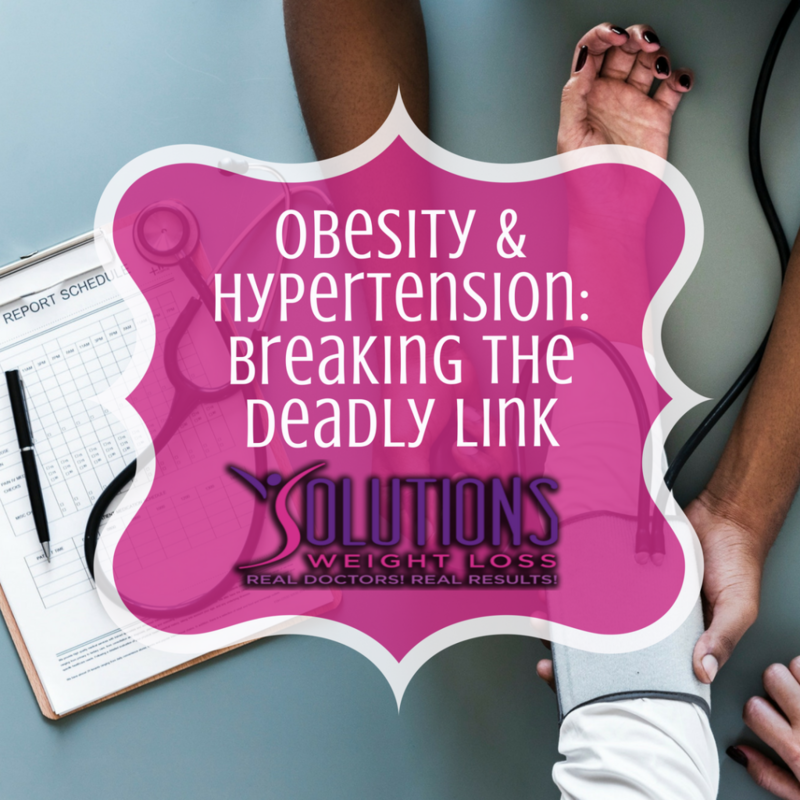 There are many statistics about hypertension (high blood pressure) and obesity – and all are (or should be) alarming. Both are major health problems in the United States, and the subject of intense medical research. Increased awareness of the link between obesity and hypertension is leading to new campaigns to educate people to lead healthier lives. While some of the more sobering statistics follow, the optimistic message is that it is possible to take ownership of your health and get the help and motivation you need to reduce – or eliminate – your risk. According to the Centers for Diseases Control and Prevention (CDC), one in three adults has high blood pressure, a leading cause of stroke. Approximately 30 percent of hypertension cases may be attributable to obesity, and the figure may be as high as 60 percent in men under age 45. People who are overweight are more likely to have high blood pressure, high levels of blood fats and high LDL (bad cholesterol), which are all risk factors for heart disease and stroke. These disturbing statistics are courtesy of The State of Obesity, a project of the Trust for America’s Health and the Robert Wood Johnson Foundation. 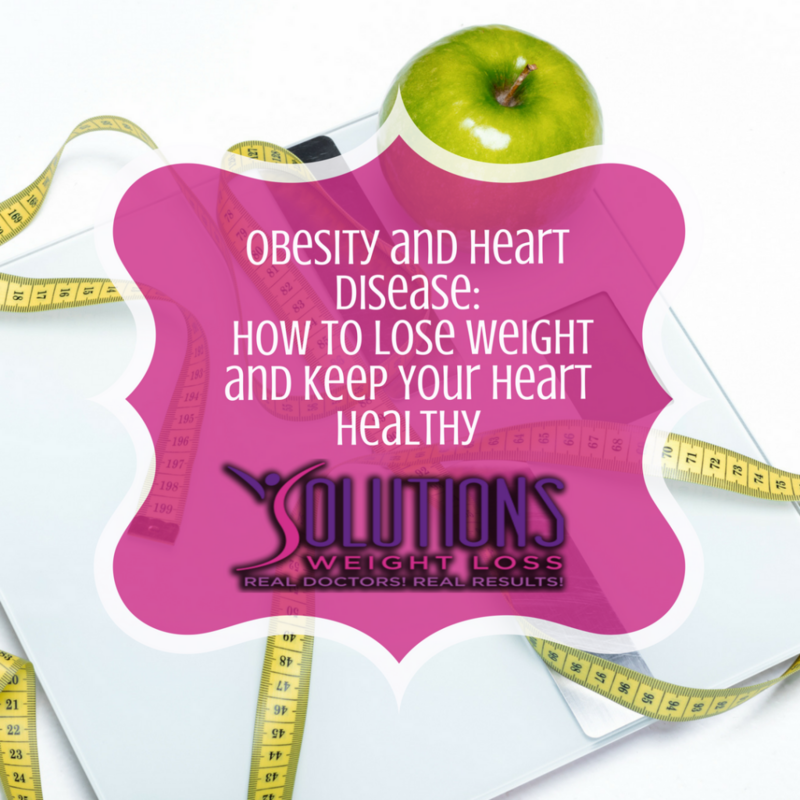 Our March, 2018 blog post, Obesity and Heart Disease: How to Lose Weight and Keep Your Heart Healthy, focused on the link between these conditions, and a balanced approach to achieving a healthy weight. The Obesity Action Collation (OAC) includes a study by Jaymee Delaney, MD, which states that people with obesity are more likely to have hypertension. There are 58 to 65 million U.S. adults who have hypertension, which is the most common reason for office visits of non-pregnant adults to their physicians and for the use of prescription drugs. One example Dr. Delaney mentions is the DASH diet, which was the subject of our April, 2018 blog post. This popular diet was initially developed for people who want to take control of their hypertension. But the diet soon gained traction among dieters, who found it helped them lose weight more effectively. The DASH diet is one of the more high-profile programs that encourage people to be proactive in preventing or reversing hypertension. But another program with the same goal is gaining an enthusiastic following: the 10 Day BP Challenge. The challenge originates with the BP Owl website – an online resource of articles on diet, exercise, relaxation and other non-medication ways to manage hypertension. The 10 Day BP Challenge is an app you can download to access a step-by-step program designed to help reduce high blood pressure through diet and lifestyle changes, monitored regularly over a 10-day period via the app. There is a free trial period, after which users must pay to continue the program. BP Owl also has a social media presence, with Facebook and Twitter pages for sharing advice, tips and inspiration for following a healthy lifestyle. While the 10 Day BP Challenge and DASH diet can be helpful programs, you may still want to consider other options. Our experienced physicians at Solutions Weight Loss are here to provide you with an individual, medically supervised plan to help you meet your goals. We also apply advanced weight loss treatments and protocols that are not available over the counter. We welcome you to schedule a consultation to discuss the best program for you. Obesity has become an epidemic not just in the United States, but around the world. Many diet plans have been developed as a result, with varying rates of success. One diet program that is proving to be effective is DASH – Dietary Approaches to Stop Hypertension. DASH was named as the best diet plan for the last eight years by U.S. News & World Report. Apart from hypertension (commonly known as high blood pressure), DASH is also known to fight diabetes, maintain heart health and help lower cholesterol levels. Formulated by the National Heart, Lung, and Blood Institute (NHLBI), the DASH diet was initially developed for people who want to take control of their hypertension. But, the diet soon gained traction among dieters, who found it helped them lose weight more effectively. As is known to most who want to lose weight, several nutritional factors that affect blood pressure also influence weight – such as sugar, trans fats and processed foods in general. What is the DASH diet and how does it work? The DASH diet works on the principle of cutting down on sodium consumption. You are advised to primarily focus on eating vegetables, fruits, and dairy foods. As far as dairy is concerned, you should choose low-fat options because they have less added salt. You also need to have some fish, poultry, whole grains, and nuts. The standard DASH diet – allowed to have up to 2,300 mg of sodium daily. The low-sodium DASH diet – allowed to have 1,500 mg of sodium daily. 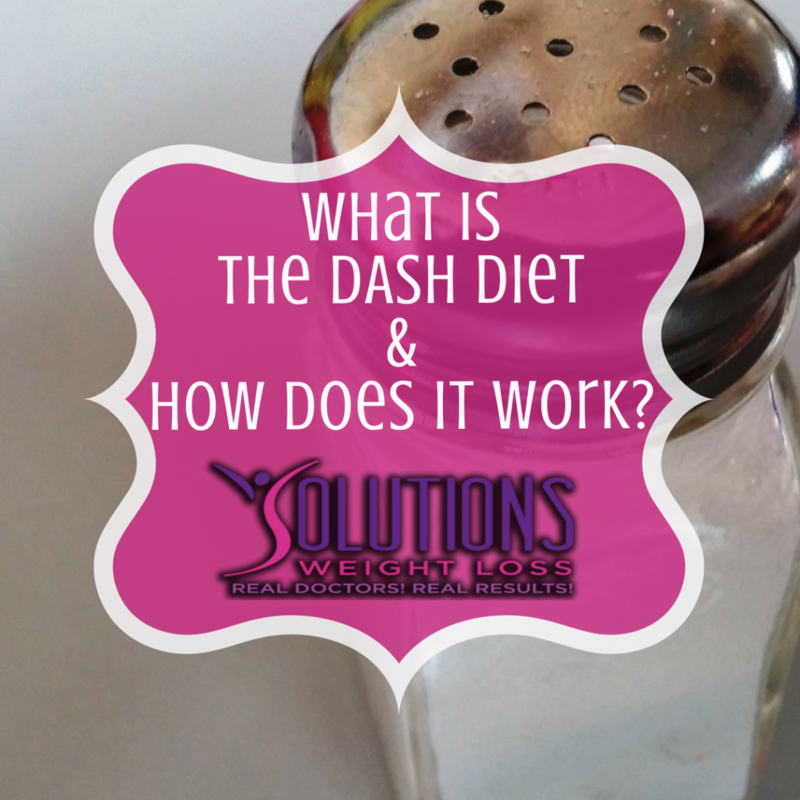 Unlike many other high-profile diet plans, DASH does not squarely focus on eliminating starches. When it comes to losing weight, sustainability is the key. Therefore, for best results, you need to follow a diet plan and continue it for a long time. But the problem when you select a low-carb diet plan is that it becomes hard for you to keep carbs at bay over the long term. However, the DASH diet is more palatable, making compliance easier. The only restrictions in case of the DASH diet are to avoid sugar, fats, processed foods and sodium. Saying no to processed foods can solve most of your sugar, fat, and sodium problem. The ultra-processed foods an average American consumes in a day contributes 58% of the total calories, 90% of added sugars and 75% of sodium. There is no doubt that processed foods contain excess salt, which increases the risk of diseases like hypertension, stroke, and heart disease. Cutting down the intake of salt can substantially lower these risks. But, it is not just these diseases that are linked to a high sodium diet – there is a distinct connection between high blood pressure and weight that cannot be overlooked. What can I eat?! What does a typical DASH diet include? One of the first questions people ask before starting a diet, is… what can I eat?! The Dairy Alliance and Registered dietitian Sarah-Jane Bedwell combined efforts on a video detailing some menu items that qualify for the DASH Diet. Grains – The ideal scenario is to consume 6-8 servings of grains every day. You should have more of whole grains because they contain nutrients and fiber in abundance. Choose products that display 100% whole grain labels. Vegetables – Followers of the DASH diet should have 4-5 servings of vegetables every day. Add vegetables such as broccoli, sweet potatoes, tomatoes, carrots, and other leafy veggies to your diet, as they are rich in vitamins, minerals and fiber. Fruits – You should have a minimum of 4-5 servings of fruit, as it raises your energy levels and increases the fiber content in your body. You can have fruits such as apples, pears and grapefruit because these are a rich source of fiber and antioxidants. Meat, fish, and poultry – It is always good to have meat in moderation, and that is what the DASH diet recommends. Meat contains iron, protein, B-complex vitamins and zinc. Have 4-6 servings of lean, skinless meat daily. Dairy products – Milk and other dairy products contain protein, calcium, and vitamin D in sufficient quantity. However, select low-fat/fat-free products. You should have a minimum of 2-3 servings of dairy daily. Substitute with lactose-free dairy products if you are allergic to milk. Oils and fats – Fats are essential for the body, as they help absorb vitamins, which helps keep the immune system in balance. Limit your fats and oil intake to 2-3 servings daily. The DASH diet recommends limiting your daily consumption of fat to under 27% and saturated fats to 7% or less. Nuts, seeds, peas and dry beans – You should have 4-5 servings of nuts, seeds and beans every week. Nuts don’t have a good reputation because they are high in fat, but if consumed as recommended in the DASH diet, they are beneficial, as nuts are a rich source of omega-3 fatty acids and monounsaturated fats. You can have cashews, almonds, peas, sunflower seeds, pistachio, beans, and lentils, which are rich in fiber, potassium, and magnesium. Sweets –You can have sweets, but in moderation – keeping it to five servings a week. If you consider low-fat treats – such as jelly beans, fruit ices, granola bars and low-fat cookies – be sure to read the label for their sugar content, which can be high. A balanced diet like DASH is planned to keep you feeling full. You have sufficient fruits and vegetables that are rich in fiber and enough lean protein that makes you feel full most of the time. DASH also reduces calorie intake, which helps you lose weight quickly. When you feel satisfied with your food intake, instead of constantly hungry, you are more likely to increase your physical activity, which also helps weight loss. As everyone is different, it is always advisable to follow a customized diet plan. Solutions Weight Loss offers effective, proven medically supervised weight loss programs that are tailored to each individual. Dr. Newsome and our entire team provide comprehensive support to every client in reaching their goal. Contact us today to learn more. Obesity is a global epidemic in both adults and children. It is a major health problem in the United States, as one out of every three Americans is considered obese. Obesity is known to be a risk factor for many life-threatening illnesses, including heart disease (also referred to as cardiovascular or coronary artery disease). It is also known to increase the chances of hypertension, type 2 diabetes, stroke, sleep apnea, and some forms of cancer. Obesity in America: According to the Centers for Disease Control and Prevention (CDC), over 36.5% (one third) of U.S. adults are obese. The percentage of children and adolescents ages 2-19 is about around 17%, representing a number of 12.7 million! With the increase in the obesity levels among American adults, heart disease is on the rise. The CDC reports that heart disease is the cause of one out of every four deaths in America, claiming about 610,000 lives annually. According to the CDC, weight that is higher than what is considered as a healthy weight for a given height is described as overweight or obese. Body Mass Index, or BMI, is used as a screening tool for overweight or obesity. BMI is a formula that takes into account your height and weight. BMI indicating a healthy weight is between 18.5-24.9. A BMI between 25-29.9 is considered overweight, with obesity starting at a BMI over 30. 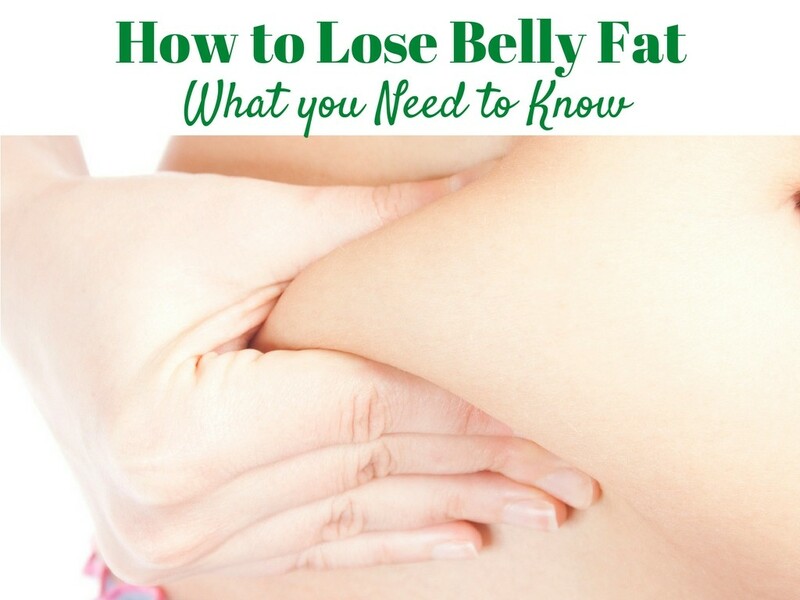 Abdominal, or belly fat, is known to increase the risk of heart disease. Waist circumference is the width of your waist slightly above the naval area. For men, if your waist is more than 40 inches, the risk of heart disease increases significantly. For women, the risk increases if your waist size is more than 35 inches. Also, obesity can increase your blood cholesterol and triglyceride levels. Obesity can also reduce your HDL (good) cholesterol levels. It can increase your blood pressure level, and might induce diabetes, which in some cases can worsen your risk factor for heart disease. Obesity is also known to enlarge the left ventricle (called left ventricular hypertrophy), which increases the risk of heart failure. Those about to undergo a significant weight reduction program should do so under the guidance of a healthcare professional to ensure that safe, medically sound steps are followed. Core to reaching and maintaining a healthy weight, however, are healthy eating habits and an overall wellness-oriented lifestyle. Meal prep! Plan your meals ahead of time to avoid unhealthy fast food lunches and takeout dinners. Cut down on sugar and sugar-sweetened beverages – High amounts of sugar increases your overall weight and – more specifically – belly fat. Also, read the Nutrition Facts label on packaged foods for high fructose corn syrup as an ingredient, and avoid when possible. Add soluble fiber to your diet – Soluble fiber absorbs water and forms a type of gel in your gut, which slows sugar absorption into your bloodstream, which helps your body store less fat. Include protein in your diet – A high-protein diet can help in weight loss. Standard protein requirements are at least 50 grams a day for women; about 60 grams per day for men. Again, get advice from a healthcare professional before starting a weight-loss program to confirm if a high-protein diet would be beneficial for your individual health concerns and target goals. Cut down on alcohol – Alcoholic drinks contain many more calories than most people think. A 20-ounce serving of beer can pack 250 calories, a 6-ounce glass of wine contains 120, and a 1.5-ounce shot of liquor contains about 100. And that’s without any sugary mixers. Pay attention to carbohydrates – You don’t need to start on a zero-carb diet (which is taking the other, also unhealthy, extreme), but switch from refined carbohydrates to unprocessed carbs. This will not just decrease your weight; it can also improve your metabolic health. Increase physical activity – You can start slowly, increasing your workout time to at least 150 minutes of moderate-intensity exercise, like brisk walking, every week. Or, a high-intensity aerobic exercise like jogging for 75 minutes every week (or a combination of both), as well as muscle-strengthening exercises. Children should get at least 60 minutes of physical activity every day. Get enough sleep – Sound sleep is not just important for your overall good health, it is also essential for your weight loss goal. If you are not able to sleep properly, you tend to gain more weight. This is because people tend to eat more when they don’t get adequate sleep. Managing stress efficiently – Stress is part of daily life, and you need to find ways to manage it well. You can opt for meditation, exercise, or hobbies to alleviate your stress. Also, some people tend to overeat when they are under stress. It is important that you manage your stress so that you keep your focus firmly on your weight loss goal. If you are ready to change your life – and your health – for the better, our experienced physicians at Solutions Weight Loss are here to provide you with an individual, medically supervised plan to help you meet your goals. We also apply advanced weight loss treatments and protocols that are not available over the counter. We welcome you to schedule a consultation to discuss your options.